RWAKITURA– President Museveni on Monday evening delivered his New Year address from his country home in Rwakitura, Kiruhura district. The President started off by paying tribute to all those that lost their lives in the year 2018, and prayed that God comforts their families and friends. Settled in, the outlined key issues of his speech including, Economy, Youth development and employment, ending Criminality and Political discipline. Museveni also talked about regional integration, Corruption, Political leaders acting as examples in wealth creation, Irrigation and rampant land evictions. Speaking about the economic progress of the country, Museveni said some mistakes by some elements hurt the economy. “In 2006, there was intervention towards the electrification of the country – which “rectified some of these mistakes”. The economy in the financial year of 2018/19 will grow at a rate of 6.8%, he said. “Working with Kenya and Tanzania, the issue of transport costs is being tackled by developing the rail and water transport and through UDB, we are addressing the issue of the cost of money for manufacturing, agriculture and the services sector,” Museveni said. The president said that Government has already laid a foundation for youth development and employment. “We introduced Universal Primary Education and Universal Secondary Education to offer education to the young people, ” he said. But there are still gaps, including skills, jobs, wealth creation and sometimes discipline, said Museveni. He cautioned of not expecting to pray for a miracle without working. The President said that upgrading of the technological interventions to fight (urban) crime is already going on. He added that he was briefed by the Police that 23 offences were reported on Christmas Day, including 11 murders, one victim of mob justice, two victims of shooting, one attempted murder, two killed in accidental fire, one case of vandalizing of Umeme cables, one case of kidnap and another of arson. Mr Museveni said that political actors must be clear with the words they use in the line of their respective duties. He pointed out vernacular words such as “okuvuganya” and “okulwana” and also explained how the clear usage of them can lead to parties debating “peacefully” as opposed to throwing jarbs at each other. Museveni said there is no way the NRM can fail to defeat corruption. He also reechoed the public to report bribery cases to a newly launched state-house anti-corruption unit saying there is a 24-hour call centre established, headed by Lt. Col. Edith Nakalema, to tackle the problem of corruption. 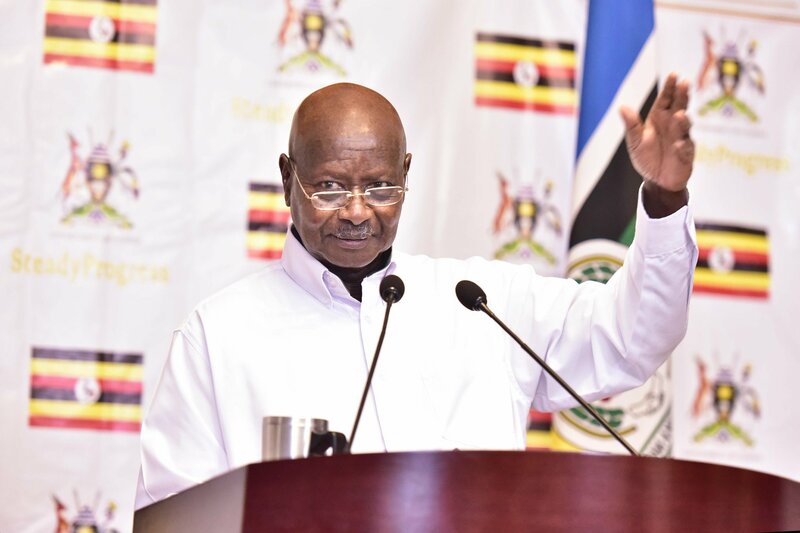 “Nakalema is not replacing the IGG – this should be clear,” Museveni said, explaining that it is a joint effort towards the fight against corruption. “I will directly lead the struggle against illegal land evictions,” said Museveni. 4. Those who bought or inherited the land. 5. Those who are not among the four categories, but have been on the land for 12 years without anybody challenging them. our goal is to transform agriculture from a rain-fed to irrigation-based sector, says Museveni. The micro irrigation projects will be 190 across the country. The President, while talking about Uganda’s recent bumper maize harvest, said the country needs more maize-milling machines, but that “we also need to sell more to our neighbours”. “Therefore, I hope to work with fraternal people of Kenya, Tanzania, Rwanda, Burindi and South Sudan to consolidate the unity of East Africa Community,” he said. And together with COMESA and the African Union, we shall work to ensure the unity of the African continent, concludes Museveni.